Tonight was my team's touch football grand final. After a great season filled with mostly wins and narrow losses, we played a close game, which unfortunately ended in a 1 point difference defeat. 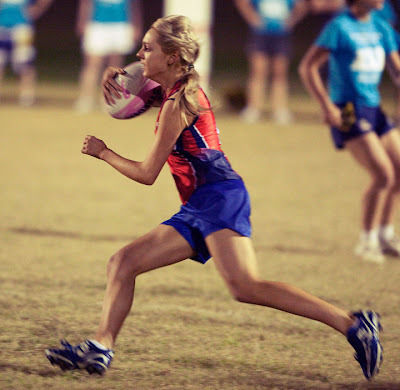 Here is a photo of me playing touch from another university competition.